Archaeology Day takes place over the last weekend of every May. As an archaeologist-storyteller, it has become tradition for me to spend this event at the museum in Szolnok, a town in Hungary that sports a wealth of finds from the Migration Era. 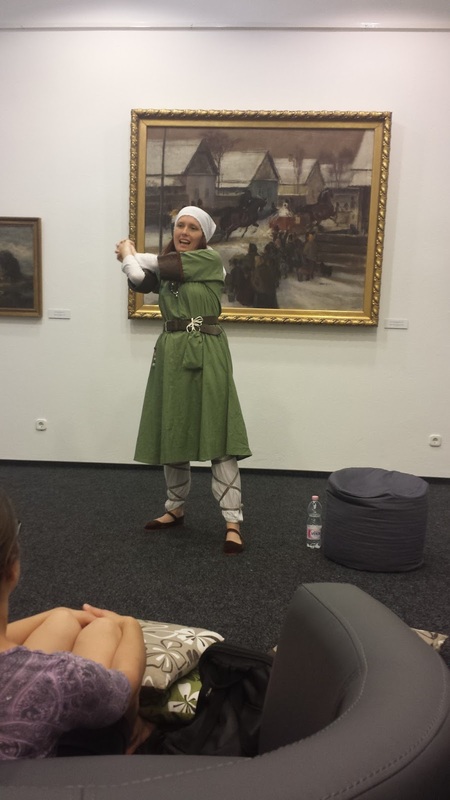 Last year I told Nart sagas for their Sarmatian theme - this year I was invited back to create a storytelling program for their Gepid exhibit. It is a lot easier to create a show for Sarmatians than it is for Gepids. Go figure. This Germanic ethnic group did not leave written sources of their own behind - all we know about them, we know from chronicles written by others about the Gepids. 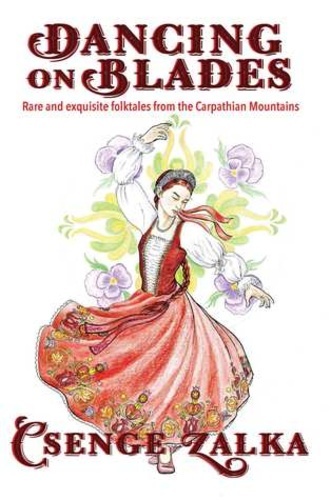 Out of these historical accounts emerges the sad tale of Rosamund, a Gepid princess kidnapped and abused by Alboin, king of the Langobards, arch-enemies of her people, who was forced to drink from the skull of her own father. She ended up having her husband assassinated, and then got executed herself - her story still lives in ballads in Lombardy. Well, this is kind of a mood-killer, but a very important part of early medieval European history. I was lucky enough to dig up a frame story that made it amazing: Theophylact Simocatta, Byzantine historian, recorded a murder case where the suspect (a Gepid mercenary) used this tale in his defense. The mystery case, together with the tale of the Gepid-Langobard feud, ended up being a pretty neat historical story, if I do say so myself. The rest of the program I filled up with legends about my old friend Dietrich, who is a legendary figure based on Theodoric the Great, king of the Ostrogoths, who were not exactly friendly with the Gepids, but they were related, and Gepid warriors did serve in Theodoric's army. I also threw some Germanic/Norse mythology into the mix, and some German folktales for little children, in case we got any. Since last year I told in a full Sarmatian costume, I decided to keep to this tradition as well. My Gepid outfit just kind of happened - it was assembled from gifts I got over the past years from my SCA friends, all of which just happened to fit perfectly into a reconstruction of a famous Gepid female burial that my former archaeology professor published. All I really needed to buy was some beads to recreate the necklace and belt ornaments, and I was ready to roll! There were two one-hour shows scheduled for the day, both of which were promoted to school groups since they happened during a school day. In the first round I had a 5th grade class (20-something students), accompanied by some adults. They were a loud bunch of little smartasses, and I absolutely loved them. They had comments for everything, but they were comments related to the tales, and moved the plot forward in hilarious ways. 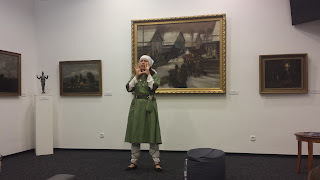 I opened with the tale of the Gepid warrior's trial, then moved on to Dietrich legends - the tale of Mighty Huntress Lady Minne, Sigenot the Giant, Sistram Who Was Fished Out of the Mouth of a Dragon, and finally, just for good measure, the myth of Thor and Utgard-Loki. After this last one they wanted to know if I could also tell a story about Deadpool (I wish), or Iron Man (to which I pointed out that everyone was wearing iron in all these stories). Generally the mood was great, I had fun with the cheeky comments, and the stories felt awesome in the telling. None of them (except for the first one) was too serious, and they hit the age group just right. Me: "King Dietwart and Lady Minne lived happily ever after." Boy: "Did they have children?" Me: "Actually, they did! According to the chronicles, they had forty-four children." Boy: "Whaaaat! How do you name that many children?" Me: "You don't. You number them." Boy: "But how? Did she have one child a day?" Girl: "Stupid! You can't have a child in a day!" Me: "After they pulled Sistram out of the dragon's mouth, they needed to make sure the story was always remembered." Boy: "So they took a selfie!" Me: "Well, there were no cameras back then, but they did a medieval selfie." Boy: "They painted a picture?" Me: "That's right! Onto Sistram's shield!" Boy: "I BET THEY ARE ALL CHEATING!" 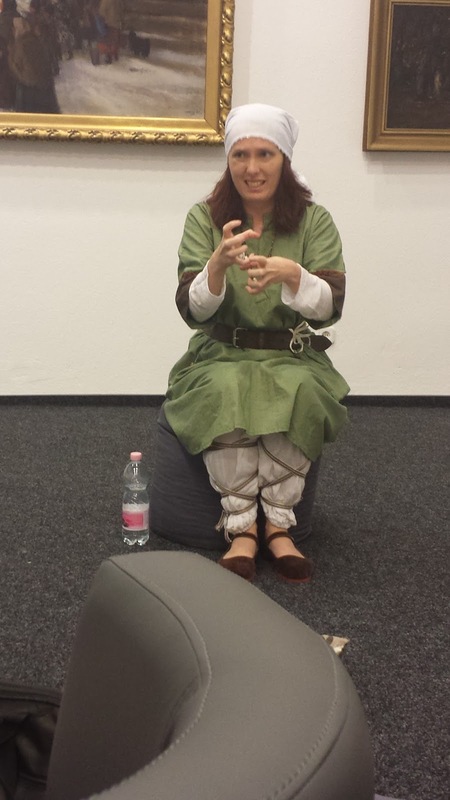 Me: "I have been a storyteller for ten years!" Boy: "Compared to that, you are really good!" The school group for the second round did not show, but I still got a lovely audience: Two mothers with their kids (one with a girl and one with a boy), and several of the museum's archaeologists. I did the same lineup again, except this time I told a short version of King Laurin's Rose Garden instead of the Norse myth. Sistram flew even better the second time around, and there was a lot of laughter in the audience. The best moment was when the little boy (maybe 6 or 7) literally said a line of the story the same time I said it (it was "This is not worth starting a war over"). All in all, I had a wonderful time. 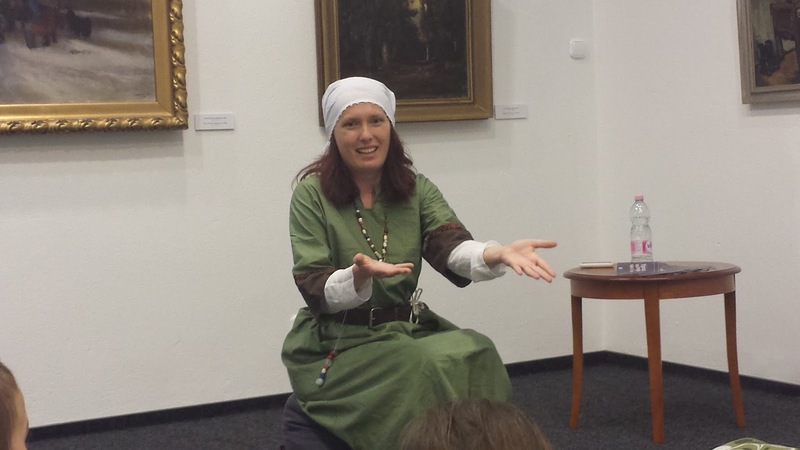 I loved being in costume, I enjoyed all the stories, and the audience made it all absolutely worthwhile. I am already slated to appear again next year. I wonder what the theme will be... I need to get sewing. 5 Folklore Landmarks in Rome - Little known and worth visiting! Close to the extremely crowded Pantheon there is an alley that almost no one wanders into. It is called Vicolo della Spada d'Orlando, the Alley of Roland's Sword. It sports the meager remains of the temple of Matidia, Hadrian's mother-in-law. One of these rocks, jutting out of the wall of a building, has a deep gash in it - local legend says it was cut by the sword of Roland, Charlemagne's famous knight, as he was attacked by bandits on his visit to Rome. Another story claims that this is the rock he tried to break his legendary sword Durendal on as he lay dying, and it has been magically transported to Rome from the battlefield of Roncesvalles. The Angel Fortress is worth visiting for multiple reasons - the tomb of Hadrian, the fortress of the Popes, the site of the magical appearance of the Archangel Michael ending a plague, and magnificent views to the Vatican and the Tiber. For me personally, however, it was the site of one of my favorite Roman legends: the imprisonment of Pietro Bailliardo, a medieval magician known for his affinity for fire. According to legend, he was locked in the Castel's prison with other never-do-wells for starting a fight. Once he got bored of sitting around, he drew a ship on the wall with chalk, and used some magic to blast it into existence. The prisoners merrily sailed away from the Castel on the ship, and dispersed into the city, only leaving an old man behind who had been asleep the whole time. As a child who grew up watching State buoni se potete every Christmas (an Italian classic), I always liked Saint Philip Neri a lot. There are countless stories about him in the Roman tradition, as people liked him a lot, and he spent most of his life among the poor in the area of the Campo dei Fiori. Busk lists multiple Padre Filippo (as he is lovingly called) tales from the folklore of the city, and they are both amusing and endearing. In one of them, Padre Filippo offers to take on the labor pains of a young first-time mother, and soon regrets it (duh). I visited San Filippo at his lavish grave in the Chiesa Nuova (there is a whole legend about how they saved his body from being chopped up for relics). It is all gold and incense and marble, and I think he would chuckle and shake his head if he saw it. There is a lot to see on the Forum Romanum. Like, a lot. While some part or another is always being excavated, there are also constantly new sites opened - this time around, for example, I could finally walk into the house of the Vestal Virgins. According to legend, it was somewhere around that corner of the Forum that once a great venomous dragon lived in an underground cave. The Romans had to call on Pope Sylvester to exorcise it, and get rid of the terrible stink that permeated the Forum and killed people by the hundreds. Sylvester accomplished the deed, and managed to convert many people to Christianity. Originally one of Rome's "talking statues," Pasquino is so well known that it got a place in one of the walking routes for Rome's Jubilee Year of Mercy. It is a broken statue, probably from Domitian's stadium, portraying Menelaos - but in the imagination of the people of Rome, the figure was known as Pasquino, a local tailor. They have been using the statue since the middle ages to post scathing critiques of the Pope, the government, and whatever else they are angry at; these witty notes are known as pasquinades. Busk lists several stories about people tricking the guards who tried to keep them from posting things on the statue. One Pope even proposed to throw it into the Tiber. The papers are now posted on a plastic slab instead of the statue itself - but there is still a steady flow of them! Rome Underground - The best places for time travel! I spent five days in Rome last week. It wasn't my first time in the City - I have visited regularly over college, both for university excavations and for storytelling - but it was the first one in 7 years, and the thought itself made me tear up a little. There were many new things to discover after 7 years. Of course I visited my ever-favorite places - the Palatine hill in spring bloom, the Etruscan museum in the Villa Giulia, the Ostia Antica archaeological park - but I also got to wander into sites I have not seen before. I especially paid a lot of attention to underground spaces, many of which have been made available to tourists recently, as excavations progress. 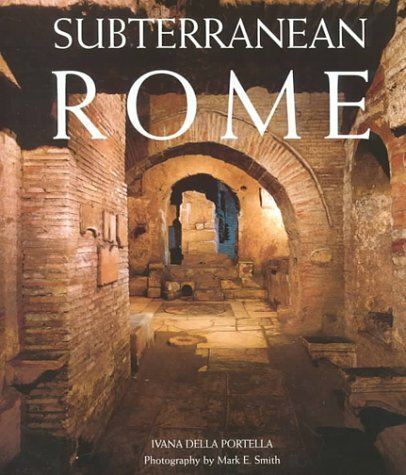 I found a very handy little book in one of the museum shops (god, I love museum shops): It is called Subterranean Rome, and it is available in a large-hardcover-fancy edition, as well as a pocketbook format (I got the latter). 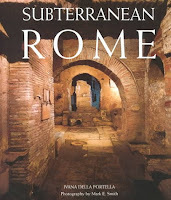 It lists little known, mostly underground archaeological sites that can take you on a literal walk through different periods in Roman history. This is the church on the Caelian hill behind the Colosseum. While the church itself, built in the 4th century, is very much worth visiting, the best part can be found under it. A separate little side door leads to a tiny shop where one can buy tickets to see the Roman houses the church has been built over. There are several wall painting preserved, as well as a portion of a Roman street and a house (kind of eerie to walk on a street underground, in dead silence), and my favorite part: a medieval well that has been dug through all this, and now looks like a brick column in the middle of the underground houses. There is also a tiny, but very modern museum underground, with finds from the excavations. Note: Most churches in Rome are closed between noon and 3pm, or 3:30. We walked into this church kind of by accident, after we found the Aventine rose gardens closed, and we wandered across the bridge into the Trastevere. It is a 5th century church dedicated to the martyr Saint Cecilia. Incidentally we found out the crypts were open for tourists. We wanted to joint a guided tour, but the tiny nun running the church shop sternly told us "NO! CRYPTA!" and ushered us down the stairs on our own. It was kind of eerie to be down there all alone, but also very beautiful. Next to the Roman era buildings and spaces, there is also the crypt itself, build in neo-byzantine style with fancy columns and mosaics, to worship the saints whose relics are kept in there. There was also a small side-chamber with shards of Roman pottery from the excavations, and a small lararium with a relief of Minerva in it. It was lit by a separate lamp, and that produced a very nice effect of the goddess' form illuminated while everything else was in shadows. This church has been built on the Forum Holitorium (the Roman era vegetable and fruit market), next to Marcellus' theater, incorporating three Republic era Roman temples into its walls. It looks fascinating both from the outside and the inside. You can see the Roman columns in the walls, and if you make your way into the underground spaces (after paying 3 Euros per person to a very loquacious information lady), you can see the foundations of the temples, and parts of the Roman walking surfaces. A small tour, but very much worth making. While one of the buildings of the Roman National Museum, it is probably the least visited. Doesn't sport any famous statues or paintings - but it has something much better: Layers. The Crypta Balbi is a building that arches through several centuries, from the Republic all the way to the middle ages, and due to its unique structure, it shows all of them. In addition, the three-story exhibition shows the history of late antiquity and the early middle ages in Rome, illustrating how old buildings decayed and were re-used. It is one of my favorite Roman museums, and it deals with an era that doesn't get a lot of attention, even though it is utterly fascinating. The exhibition includes a lot of models, reconstructions, and illustrations, that make it enjoyable and comprehensive. Definitely the most amazing part of the trip, and a site I have never managed to see before - it is still very much an active archaeological dig, and they only let tourists in (in hard hats and with guides) on the weekends, to raise money for further work. But even the currently excavated portion of Nero's former place is absolutely stunning. It is cavernous in all senses of the word - the size itself is incredible, both in spaces and in the number of rooms already cleared (150+). It has been very well preserved, with many colorful wall paintings and all the structures intact. You can even see the holes in the ceiling where people in the 16th and 17th centuries dug in to take a look at the paintings in torchlight. The palace only stood for about 40 years before Traian had it filled in with soil and buried. It was a waste of a perfectly good palace. Definitely worth the tickets, unforgettable experience. Note: You have to reserve tickets in advance to get in; they only do tours on Saturdays and Sundays. I got my tickets here. The Piazza Navona is always crowded with tourists, but we barely saw any of them descend into the museum to see what the square has been built on - namely, Domitian's stadium for the Capitoline games. The museum is fairly new, and it's very well done; the audio guide is included in the ticket. The space is well-lit and easily walkable; it incorporates the main entrance of the former stadium, well below street level. There were 3 different exhibitions going on when we were there: The history of the stadium itself (with the guide), an exhibit of reconstructions of Roman and Greek helmets and other outfits (e.g. a chariot racer's), and a modern art exhibit using different colored pieces of marble. All of these blended really nicely together, and the museum had a really nice feel to it. I highly recommend it. Honorable mentions: the San Paolo furi le mura is still one of my favorite Roman churches, and now it has a brand-new underground exhibit of the older structures of the basilica; the Castel Sant'Angelo is much worth visiting, since you can walk straight into Hadrian's tomb; and if you want the real, full, multi-level layer cake experience, don't miss the San Clemente basilica, complete with an underground mithraeum. 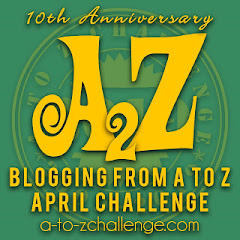 This has been by far the most challenging challenge I have done for A to Z. I was posting on two of my blogs, the MopDog (where my theme was Crazy Hungarian Cartoons), and this one, where I did Diversity and Representation in Traditional Stories. 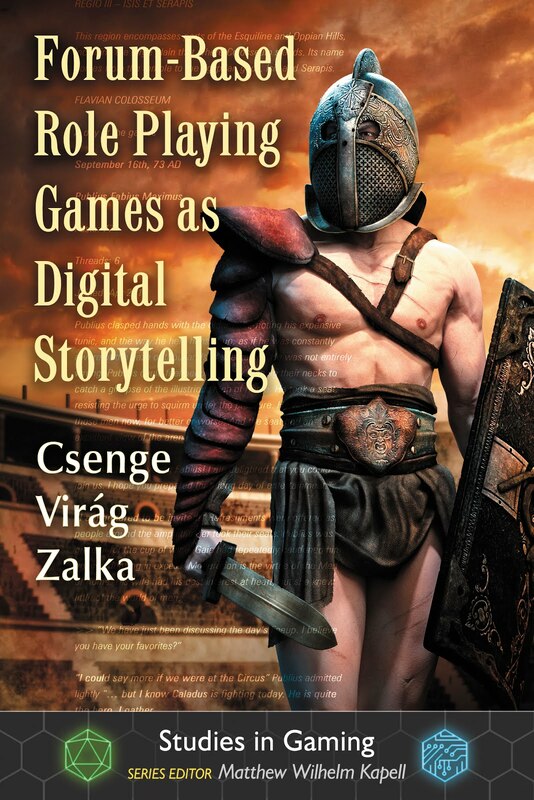 I started both blogs with one week's worth of posts scheduled (A-G), and tried to schedule a new one every day, but between writing the first chapter of my dissertation, wrapping up the semester, presenting at a conference, traveling home to Hungary, and preparing for launching my new book (this week!) I was barely pantsing it by the end. On top of all this, I was a co-host once again this year. A million thanks to my amazing Minions of Might and Magic for helping me out! 1. I MADE IT! All the way, on both blogs. Yay! 2. I gained followers, my visit numbers jumped through the roof, and I got dozens of amazing comments every day. 3. 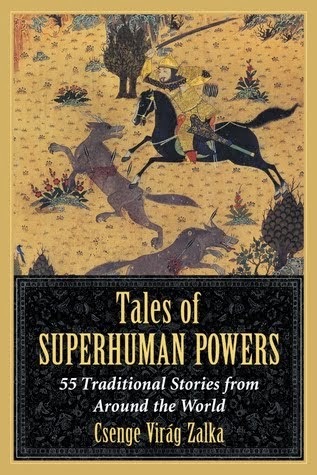 I created a lasting resource of diverse and unusual folktales, fairy tales, and myths, that I hope storytellers will find useful in the future. I plan on updating these 25 posts regularly whenever I find a new story that fits one of the themes. 4. 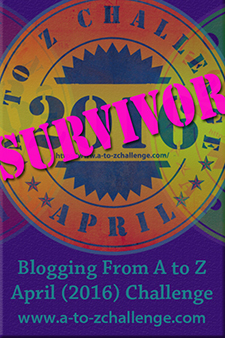 I discovered some really cool blogs, really cool themes, and amazing people. I am really happy to see that all of you are out there, busy typing away, and supporting each other! 1. I did not have nearly as much time to visit as I would have wanted to. I made a point of re-visiting everyone who commented the day before, every day. Sometimes I did not have time to do more than that. 2. I did not get nearly as many re-visits as in previous years - people, somehow, seemed less engaged this year. By this I mean I got re-visits from people I already knew, but very few of the completely new blogs I worked my way through on the list ever returned. But this is just my personal experience. As things are cooing down a little, I'll be going back to the blogs and themes I bookmarked, and reading the posts I missed. So if I didn't return your visits over the last week of the Challenge, I promise I will get back to you. It might take a while, but think of it as a late Christmas (Easter?...) present.